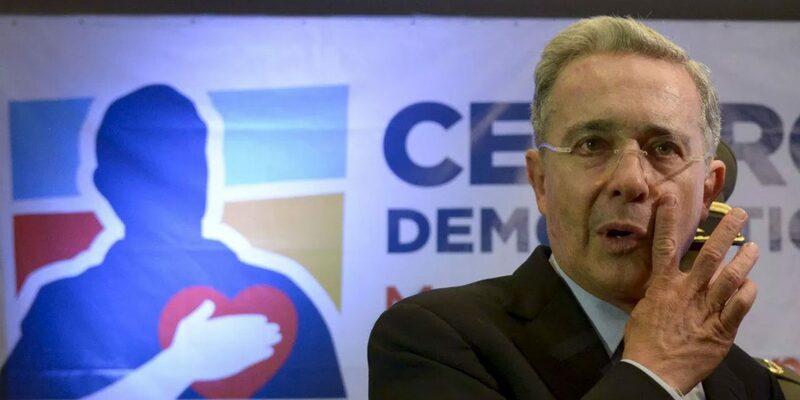 Colombia's war crimes tribunal urges Uribe to end "insults" and "disinformation"
The president of Colombia’s war crimes tribunal asked controversial former president Alvaro Uribe to end his campaign of “insults, disinformation and distortion” against the Special Peace Juristiction (JEP). Uribe, whose administration has been convicted for multiple war crimes, has wielded his substantial political power to attack the JEP, repeatedly calling for it to be dismantled. The letter from JEP president Patricia Linares is the latest move in a political showdown over the fate of the war crimes tribunal that is a critical component of the peace process. The letter comes in the wake of a the placement of controversial billboards in Antioquia by far-right Senator Paola Holguin, which plainly state that to support the JEP, which was set up after consultations with victims, is to side with war criminals. The billboards went viral on social media. El Espectador reported that Holguin defended the billboards, arguing that they were not polarizing, and defended the attacks on the JEP with a string of false and misleading arguments including that guerrillas chose the JEP judges, and that judicial benefits extend to crimes committed after the 2016 peace agreement with the FARC. The former president and his increasingly radical followers have opposed the peace process with the FARC since before talks began between the now-demobilized guerrilla group and former President Juan Manuel Santos.